Grow West | Community representatives wanted! Grow West is currently seeking nominations for the Grow West Implementation Committee. 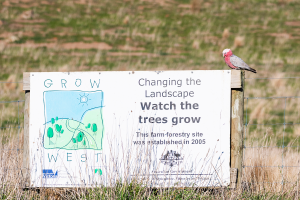 Since 2003, Grow West has been working to rejuvenate 10,000 hectares of the Upper Werribee Catchment by creating links between the Brisbane Ranges National Park, Werribee Gorge State Park and the Lerderderg Gorge State Park. Grow West is currently seeking nominations for five community representatives to join its implementation committee. The committee is comprised of community representatives and key stakeholder organisations. It acts as a board of management for the Grow West program; providing strategic direction and advice. Nominate yourself now and be a part of Grow West’s success and make a genuine and lasting contribution to the region’s natural heritage. Applications close 5pm, Monday 19th November 2018.